Dashlane, another third-party password manager has shared further explanations of the new benefits in P, including a proof of concept of the Autofill API working inside Chrome. A better compatibility mode should offer the most obvious user-facing enhancements, as this will allow password managers to use the antiquated accessibility option for autofill when an app doesn't support the system-wide solution. 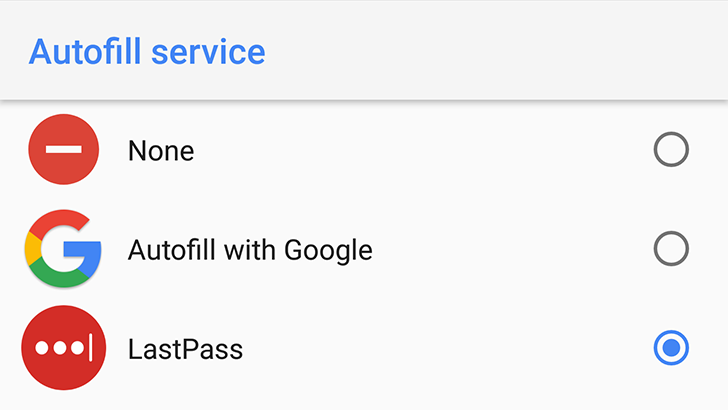 LastPass is one such password manager that stands to gain from the changes, which is another boost after recently adding full support for Oreo's autofill API. It managed to retain accessibility-based support in the process, but that will now also be handled by the autofill framework, making for better security and performance.